Like its twin sister, Geist 1, this handcrafted 5-string beauty is one of two Custom Electric Basses that I master-built for Dean Witter of Smithville, Ontario. Dean came to me with a template for his ‘Dream Bass’ and a slab of beautiful flamed maple, large enough for two custom basses. 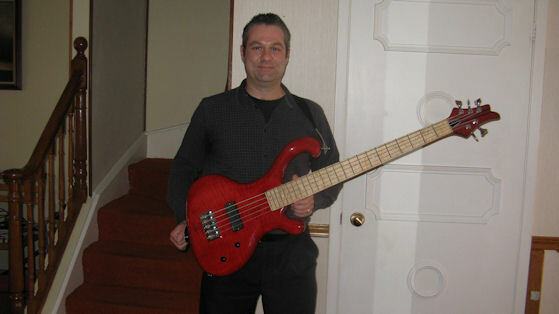 I custom-designed the template for building a five-piece laminated neck for both custom basses and James DeBoer of The Wood Shed, which boast a large supply of the finest quality tone woods, laminated and machined the 5-piece neck blanks in accordance with my design specifications. 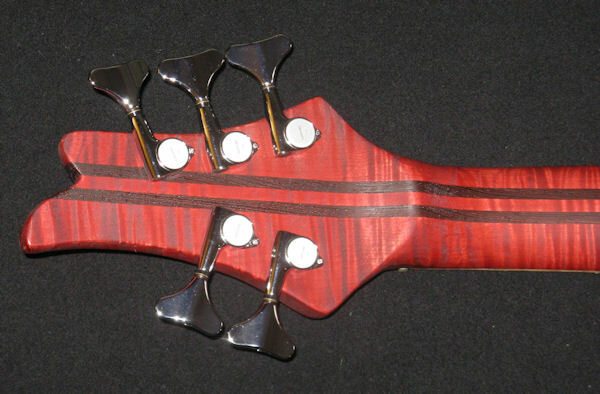 I designed the headstock and carved the neck and the body entirely by hand with attention to detail. When Dean told me he wanted two Custom Basses, I did a modified template and hand carved Geist 2 with the upper horn somewhat resembling the neck and head of a graceful swan. 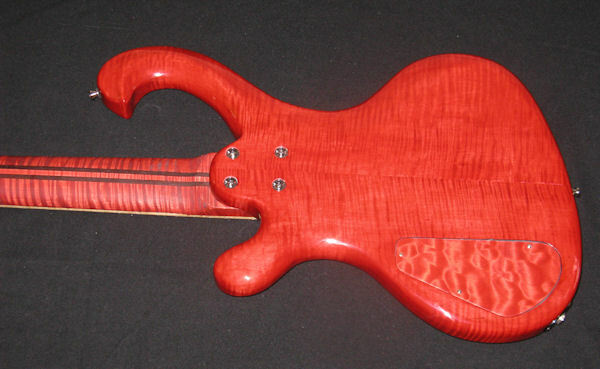 Beautifully hand carved flamed (fiddle back) maple body, finished in a transparent deep cherry red colour, with dramatic grain enhancement. 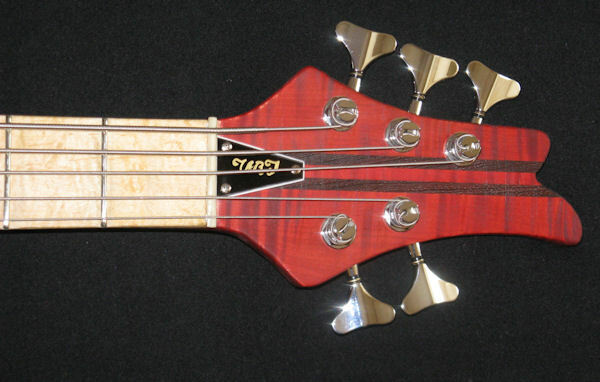 Quarter-sawn, satin finished 5-piece laminated (maple/wenge/maple/wenge/maple) transparent cherry red colour bolt-on neck built for speed, has a 2-way adjustable ‘Hot Rod’ truss rod for maximum stability. Master volume control, master tone control, with black metal knobs to match the colour of the pickup. 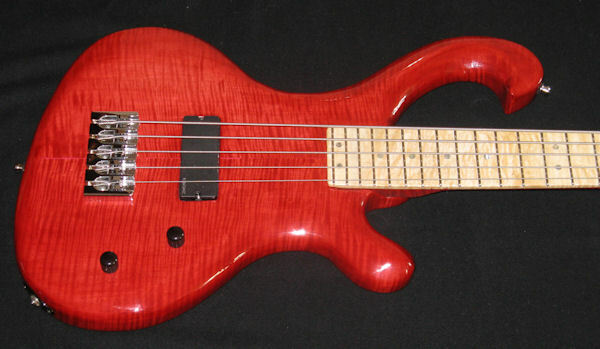 Transparent deep cherry red body is finished with non-toxic, environmentally friendly Target Emtech Waterbase Brushing Varnish.